These classy new moving-coil mics prove themselves more than capable on a range of common sources. Designed primarily for drums and percussion, the new ‘end-fire’ Audio-Technica ATM230 dynamic microphone (pictured overleaf) adds to the Artist Series line. Drum mics need to be compact and tolerant of high SPLs, and these requirements seem admirably met by the ATM230, along with an ability to capture the tonal depth of larger toms. The mic is designed with a hypercardioid polar pattern to minimise spill in the cramped confines of a drum kit, where its main use is close-miking toms and snares — though it can also turn its hand to other forms of percussion. 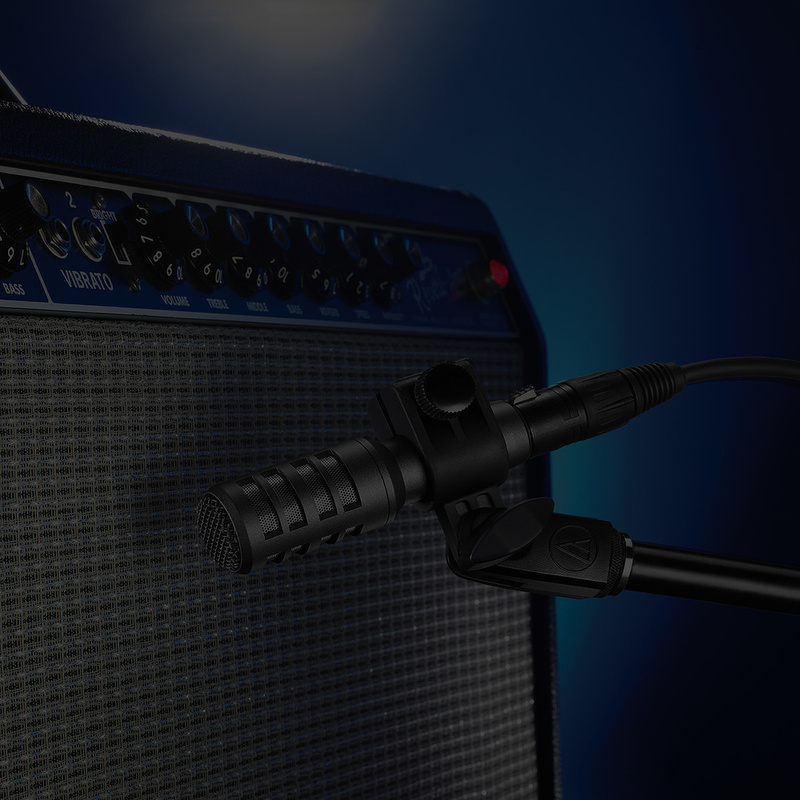 With a body length of around 82.5mm, there should be no problem tucking the mic in around the drums, though a right-angled XLR cable might help if space is really tight. The all-metal chassis is robust, with the overall microphone weight a reassuring 292g, and there’s an AT8665 drum mount, a thread adaptor, and soft zip-up storage pouch included. I’ve used the AT8665 drum rim mounts before and they snap very securely onto snare and tom rims, while a slot allows the mic distance from the drum to be adjusted over a reasonable range. 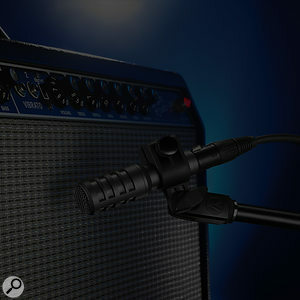 Being a dynamic mic, the top end rolls away fairly early but the mic still captures a well-balanced stick attack. Its frequency response is specified as 30Hz to 12kHz, with an open-circuit sensitivity of -54dB (1.9mV) ref 1V at 1Pa. There’s no published maximum SPL, but Audio-Technica do publish a small frequency response graph. This shows a presence hump between 2kHz and 10kHz (with a peak of around 6dB), and a dip in the middle at around 4kHz that drops back down to the 0dB line, giving the impression of dual presence peaks. A little longer than the ATM230 at 95.6mm, but only around two thirds the diameter (28mm at the widest point) and weighing just 138g, the AE2300 is another very compact dynamic microphone, this time designed for applications such as miking guitar cabinets, brass or woodwind. Again it has a presence peak with a dip in it, though this time the dip is centred at just below 10kHz, and the polar pattern is cardioid rather than hypercardioid. The mic ships with a soft pouch and a good-quality microphone clip for stand mounting. A double-dome diaphragm is used to extend the upper frequency limit beyond what you might expect from a dynamic microphone, and the spec claims a 60Hz to 20kHz response and a very even off-axis response. The open-circuit sensitivity is stated as -57dB (1.4mV) ref 1V at 1Pa, but again, no maximum SPL is listed. Finished in metallic grey, the body is made from brass and the basket section unscrews to reveal a tall, rather narrow dynamic capsule. A low-pass filter can be switched in if required to tame unruly highs, though we’re not told at what frequency this operates. Tested on my drum kit, the ATM230 delivered a weighty top snare sound but needed help from the overheads to add the necessary brightness — which is not surprising given its modest HF reach. It’s also not the brightest sounding as an under-snare mic. So, on snare drum it comes over as being capable of delivering depth but not outstanding at the high end. 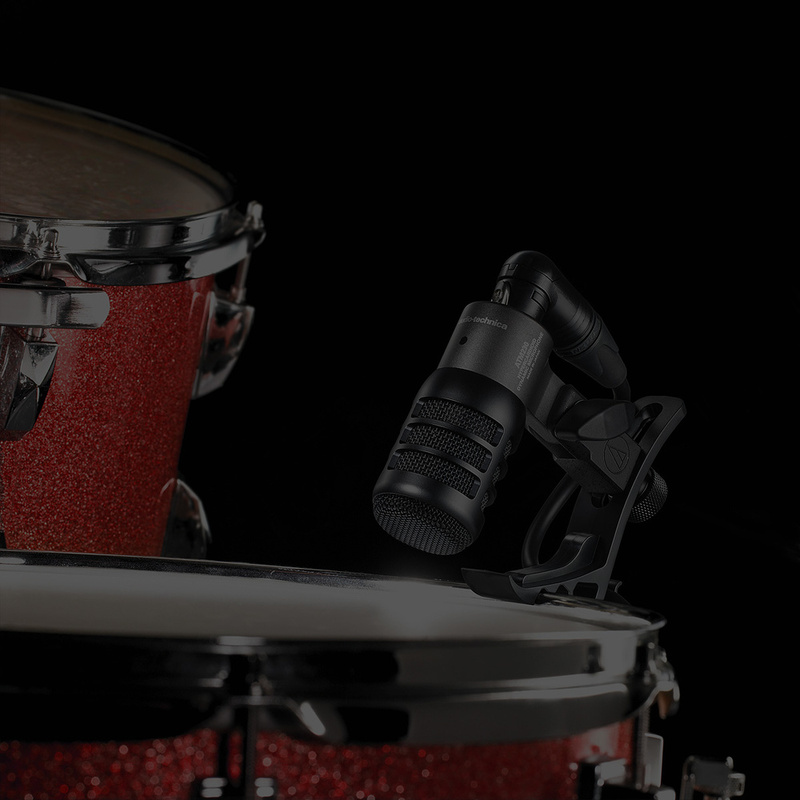 However, as a tom mic it produced excellent results with the absolute minimum of effort, capturing just the right amount of stick impact and shell resonance. There was also rather less spill from adjacent drums than I’d expected, which is a definite bonus. Even the adjacent snare was picked up surprisingly quietly. I’d certainly be tempted to buy a set purely as tom mics, as the short mic body and reliable clip system make it easy and quick to get a good tom sound without the mics getting in the way of the drummer. A pack of three ATM230s is available for this very purpose, priced at a very reasonable £350$349. Also smaller than it might look in its photos, the AE2300 turned out good results as a guitar amp mic, though its presence peak results in a slightly brighter upper-mid edge to the sound than you might hear in the room, unless you engage the filter. I got the sweetest results by backing the mic off around 300mm from the speaker grille or closer miking to one side of the speaker centre. In reality there are lots of mics that give perfectly good results on guitar cabs (my AT4050 capacitor model is still my go-to cab mic), though the AE2300 manages to avoid imparting too much of a nasal quality, which is a characteristic I often notice when using SM57s and similar types of moving-coil mic in this application. Its small size means it should sit securely on cabinet mounted ‘clamp stands’ as well as floor stands, and it is certainly easy to position. Having a high-cut switch is also a bonus. Overall, given their mid-range pricing, these are two really practical microphones, where the ATM230’s performance as a tom mic really stands out. 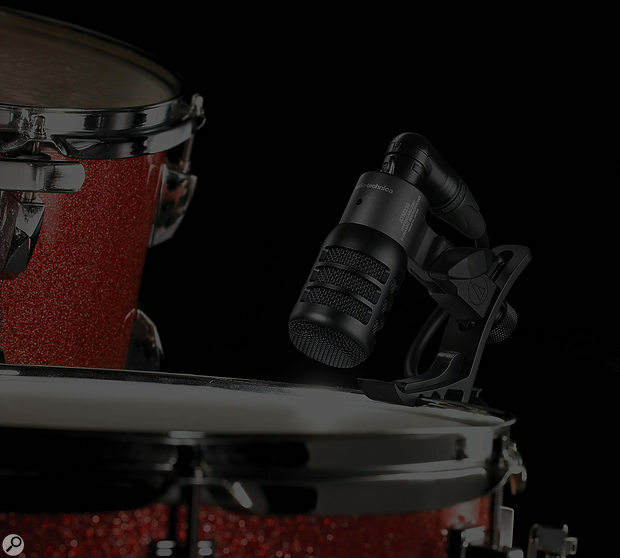 There are numerous short and stubby drum mics available, as well as the usual SM57 (which is a little cheaper), but it would be difficult to better the tom sound of the ATM230. The extended HF range and switchable filter also make the AE2300 very versatile. The ATM230 seems to lack brightness as a snare mic — but turned in a truly excellent performance as a tom mic. Both mics do a solid job, are sensibly priced and are built to last. AE2300 £249, ATM230 £140. Prices include VAT. AE2300 $279, ATM230 $139, ATM230 PK (three-pack) $349.